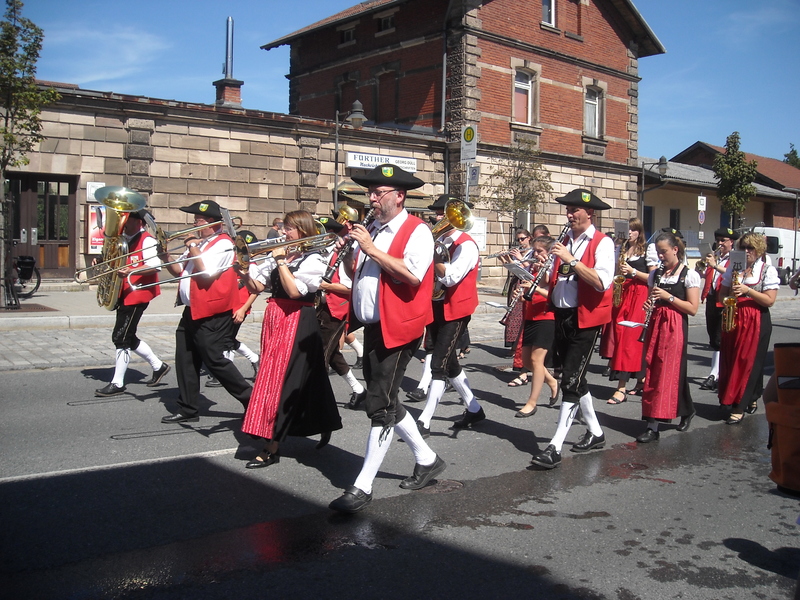 Spending a couple of days again in Zirndorf, enjoying their festival weekend, beginning with a parade Saturday afternoon. It’s all about the beer here in Zirndorf, with a brewery just up the street (Zirndorfer) and another close by (Tucher). The bands were not made up of high school kids but of mixed ages from young to old. 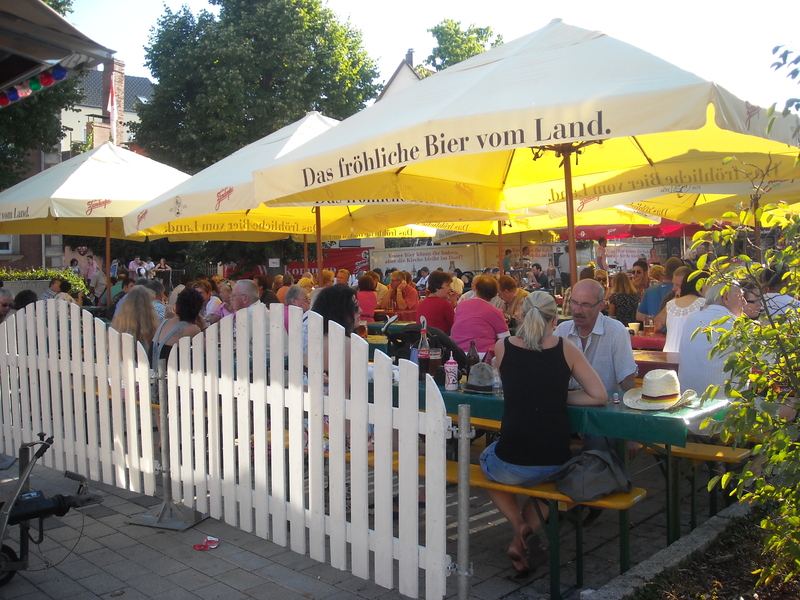 And, of course, after the parade, the festival starts with amusement rides, carnie games and biergartens. 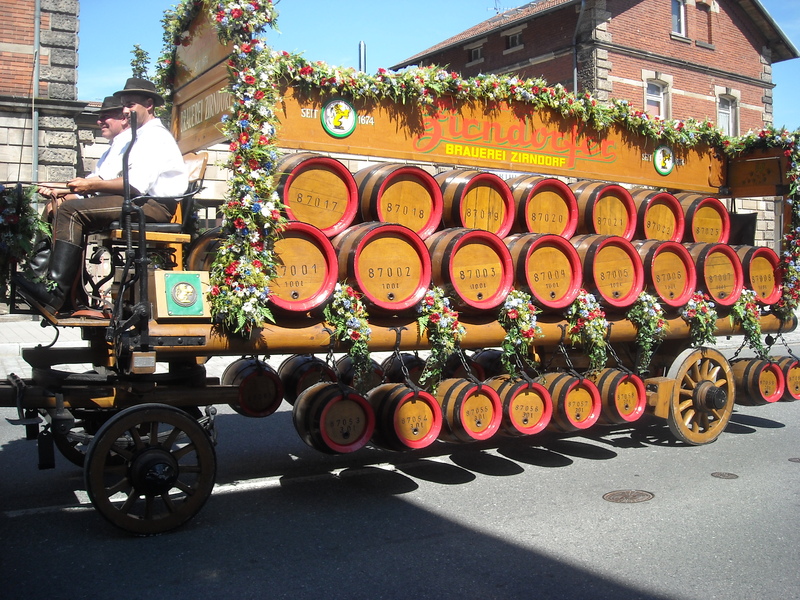 Ruediger is back in town and will be taking us to one of the biergartens for a German feast later today. We look forward to trading stories of our discoveries and his experiences in the land of Disney. 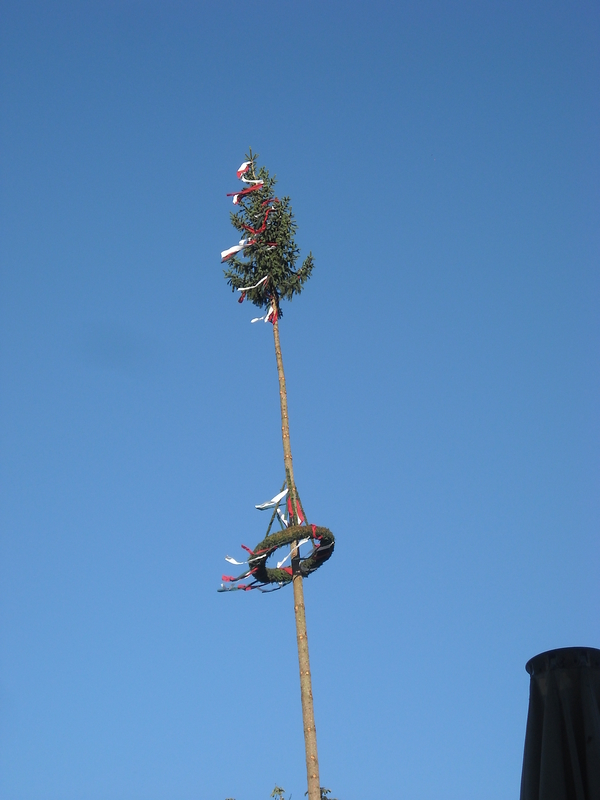 A common sight at celebrations, and, also atop new home construction, is the Christmas tree with the lower limbs stripped and the top decorated with ribbons. The Tannenbaum, German for Christmas tree, was, according to some historians, started in Germany when Martin Luther started the tradition of decorating it with lights. 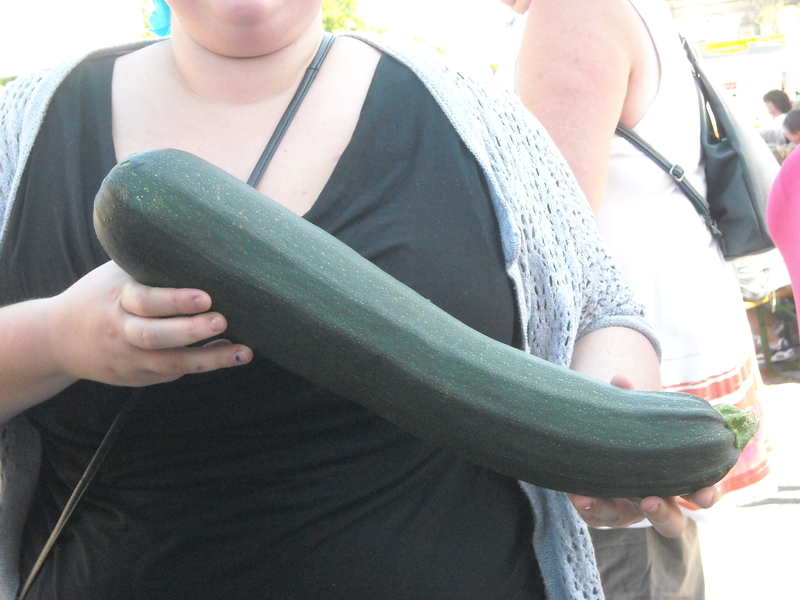 This one is towering above the marketplace during the festival. Notice blue skies without a cloud in sight…temps are rising, though, and might actually hit 90 degrees. When the mercury rises to that point the local weatherman puts out the following warning: “High disruption due to extreme high temperatures!” Ha! This is a respite for us. Low humidity and breezy…feels great. We’ll be squeezing in two more trips before we leave on Thursday. Rothenburg tomorrow, probably, and not sure of the other. Ruediger is already hinting at exchanging homes again next year so if we miss something on this trip, we might just be back next year for more! Sounds like you’ve been having a great time. Thanks for doing your blog! I love reading your adventures. Well done.